Your assistance with making arrangements was invaluable, I couldn’t have done it without you. Your insight to Belize was an asset to making our trip enjoyable. I was very pleased with the arrangements and flying from Belize City to Hopkins Bay vs driving, and flying back to the International Airport. We were able to take drives around town so I felt like we got to get a good look at the country side, orchards, and farms. Thanks again to ALL of you for making our trip a good one and bringing home lots of memories we will cherish forever. Thanks again for everything and pass on our satisfaction to all !! With one foot in the Caribbean and the other in Central America, Belize is a melting pot of cultural diversity and geographical extreme. You have the opportunity to learn about myriad ways of life, to witness dramatic contrasts of terrain and, of course, to feast on Belize’s abundant culinary specialities. 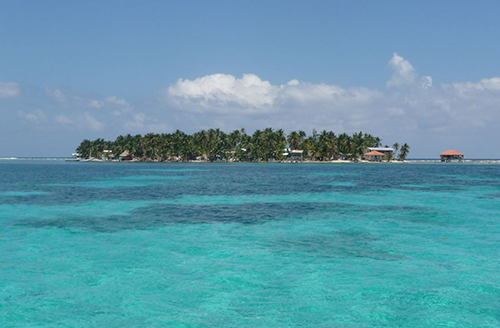 Tobacco Caye is a 5 acre palmed fringed island sitting right on the barrier reef, 9 miles off the coast of Dangriga, and is home to the 39 Belizeans who call the island home. Their subsistence way of life is inspiring, living off the fruits of the ocean and trading out for other goods among one another. The very small but steady flow of tourists does provide them with income, which has equipped the island with a generator so there is power until 9pm… last year one of the residents even got an internet device! 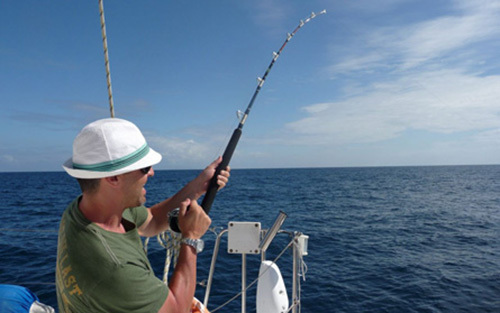 Our buddy ‘AC’ will take you out to see the manatees, for a snorkel at the Tobacco Cut, then for some fishing, followed by a tour of the island to meet the locals and see their way of life. With a nation made up of Mopan and Kekchi Maya, Mestizo, Creole, Garifuna, East Indian, Mennonite, Chinese, Lebanese, plus a few ‘gringos’, there is no better place to see everyone come together than at the Saturday market in San Ignacio, in the Cayo District. Here, abundant fruit and vegetables are fresh from the farm, Mennonites sell freshly baked breads, granola and honey, the Chinese sell their rice milks and tofu products and the food stalls are at the center of it all, selling delicious local treats and traditional specialities. 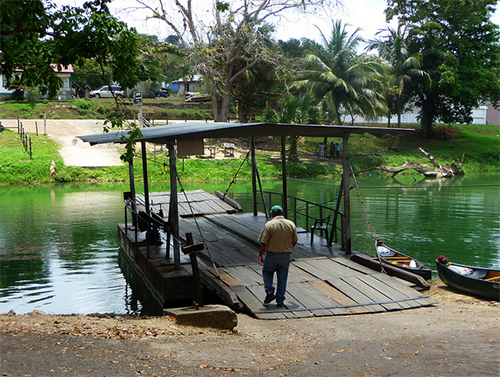 Cool off from the frenzy by taking a tip in the Macal River, just down the banks from the market. 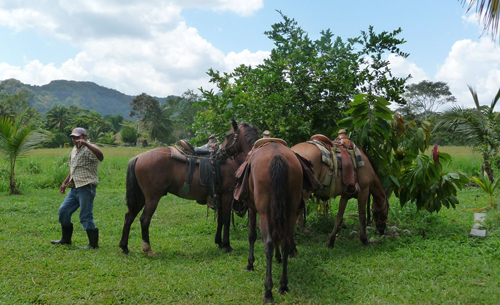 Visit Toledo in the deep south of the country and ride on horseback to a local organic cacao farm that has been handed down through generations of indigenous Mayan families. Explore the farm and learn how the different plants, animals, and insects all play their part in sustaining this productive agricultural ecosystem. 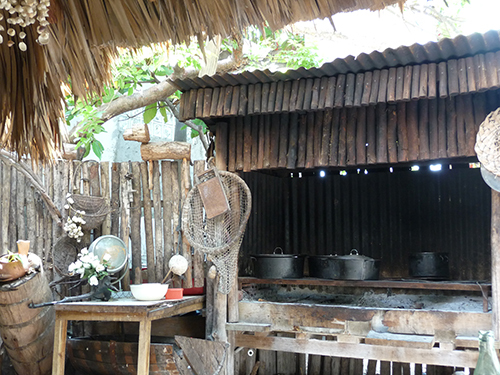 After the farm tour, visit the village of San Felipe and meet the farmer’s wife and mother who produce chocolate bars, cocoa powder, and cacao wine. Learn how they make chocolate from scratch on a matate (grinding stone) made of volcanic rock, brought over from Guatemala. Help them crack and winnow the beans, grind in local allspice, sugar, and vanilla, then enjoy the fruits of your labor. Corn, or maize, has always been an important crop to the Mayan people. The ancient Maya believed it was a gift from the gods and growing it was a sacred duty. Corn continues to be a major part of the Mayan diet in southern Belize and farmers in Santa Anna and other villages in Toledo still use the traditional ‘milpa’ growing methods of their ancestors. Mature corn is allowed to dry on the stalks, then picked and carefully stacked and stored, still in the husk, inside the home. 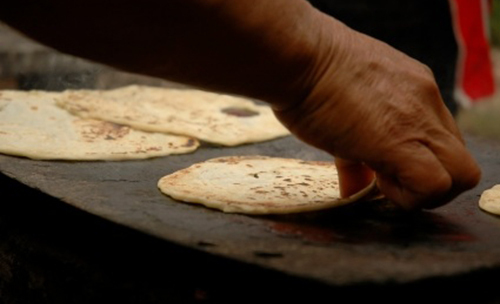 Take a workshop in the village of Santa Anna at Mrs. Bo’s house, where you will learn how to prepare corn tortillas… separating the corn from the cob, soaking the corn in lime, then grinding and making delicious hot tortillas. Try your hand at preparing your own and end your workshop with a delicious snack of tortillas, eggs, and tomatoes. Since there are only a handful of roads in Belize, renting a car and exploring the terrain is easy. The most spectacular journey is a trip down the Hummingbird Highway, from Belmopan to the coast to the Caribbean Sea. Drive past mountains and lush rainforest, through tiny indigenous Mayan villages, over rivers and amongst large expanses of orange groves. As the altitude drops and you see the banana plantations, you know you are nearing the coast. Journey on south to Placencia and enjoy the drive down the coastal road to the colorful fishing community at the tip of the peninsular. 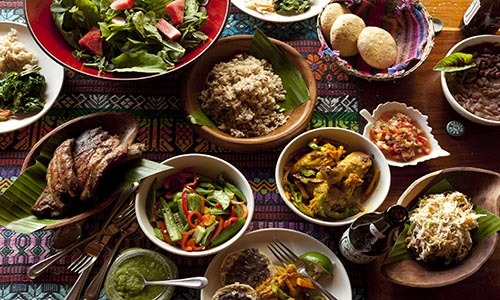 Whilst also aptly used to describe the melting pot of the nation’s rich diversity, ‘Boil Up’ is now a national dish, but originated from the Garifuna people from the southern regions and is considered the cultural dish of the Creoles of Belize. As you might guess from its name, it’s a combination of whatever can be thrown into the pot, which is typically boiled eggs, fish and pig tail, with a number of ground starches such as cassava, green plantains, yams, sweet potatoes, ripe plantains and tomato sauce. You might think it sounds dubious, but it’s divine! A Michelada is the customary Sunday drink of many San Pedranos (the residents of San Pedro, Ambergris Caye), as a ‘livener’ after Saturday evening’s festivities. 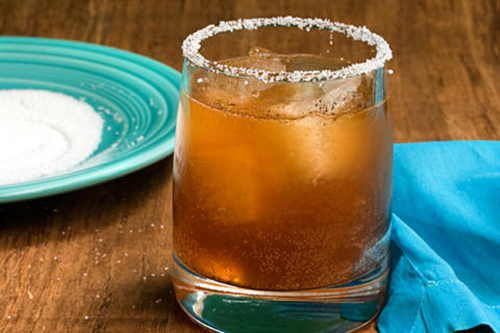 A beer combined with ice, lime, salt, hot sauce and spices, it certainly wakes up all the senses! Cholo’s Bar on the white sands of San Pedro is where the fishermen and tour guides hang out, so head there to hang with the locals. 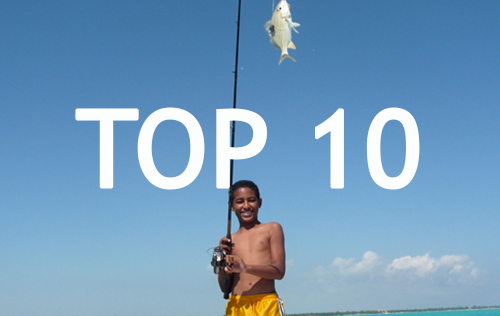 Spend a the morning out on the water snorkeling, fishing and spear fishing with your guide for snapper, lobster (in season), conch and perhaps a hogfish. Return to the beach and get the fire pit started using coconut husks. 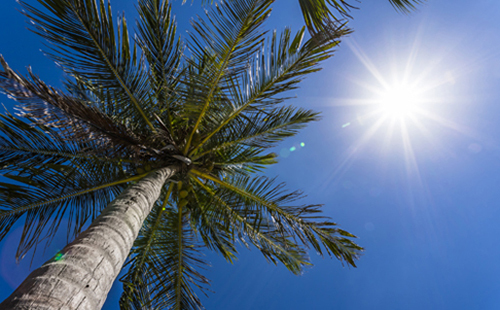 Clean and prepare your catch with your guide, then enjoy the fruits of your labor under a coconut tree with an icy cold Belikin beer. It doesn’t come fresher than that! Imagine large families where everyone works hard, contributes to the common good and there are no surly teenagers… Every meal is made from scratch, the milk, cream and butter are fresh and all the vegetables are grown by you or your neighbors. The family cart (buggy) is drawn by the horses that also pull the plough and any other heavy loads around the farm, such as the trees used to make the lumber for your house. Whenever a neighbor is in need, the people come together, maybe to help build a house or assist with the crops. Of course there are no modern comforts such as television or video games, but the home is well lit by bright kerosene lanterns in the brief period between darkness and bed time. This way of life continues in the Mennonite community of Barton Creek Village, which is a wonderful day trip and can also be combined with a tour of the Barton Creek Caves, via canoe. Read more about the Mennonites on the Seriously Old School Blog. 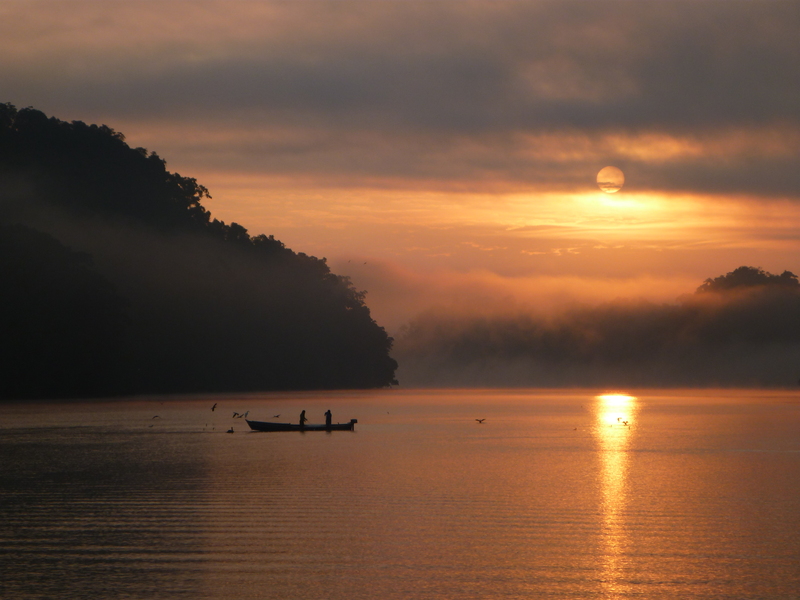 Journey via luxury sailboat from Belize into Guatemala, a spectacular journey. Sail between 300ft towering limestone cliffs clad with dense rainforest as you journey up river. En route, call in at the hot sulphur springs where you can clamber up the rocky embankment to soak in the steaming hot springs. The climb is worth the reward! Once at Fronteras in Guatemala, you can explore the north shore of Lake Izabal to Finca El Paraiso, a fabulous working farm. From there travel via horseback or tractor through farmland to the lush tropical setting of Agua Caliente, a 25-ft waterfall and deep pools of hot spring water. If you’d like to experience any of the above for yourself, get in touch with us and let us tailor make something just for you. On a spectacular and deserted stretch of white sand, the emphasis at El Secreto is on secluded tranquility, pampering and decadent indulgence. The Spa is one of the major draws of the resort – the IKAL Spa Villa features a private double massage cabin, steam room, indoor/outdoor Jacuzzi, and a fresh water pool. Spa services are provided in the spa villa, plus throughout the property’s beach cabanas, and at either of two thatched roof spa towers, featuring Thalmer & Fisiosphere products and an extensive menu of facial and full body treatments. Unique treatments include their ritualistic “spiritual cleansing” and “marine flush”, which add to the delicious offerings, including signature bamboo, hot sea shell and Swedish massages, plus oxygenating facials and more. It’s tempting to keep El Secreto as a secret all to ourselves…. but then we wouldn’t be doing our jobs in bringing you the most delectable experiences in Belize! Get in touch with us to book your spa retreat. 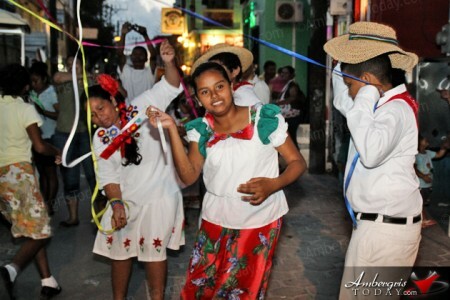 Held the week before lent begins, San Pedro town on Ambergris Caye continues to keep the Carnival home fires burning, upping the ante on the fun and celebrations. It’s hard to get to the bottom of what it’s really all about, but most locals tell you it’s just about dancing, chucking paint at each other and partying. 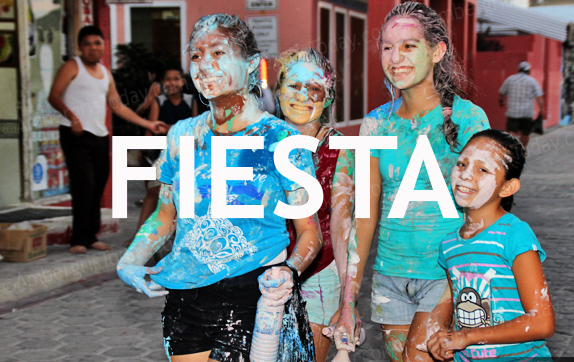 It takes place over several days, which are full of laughter, color and a lot of fun. 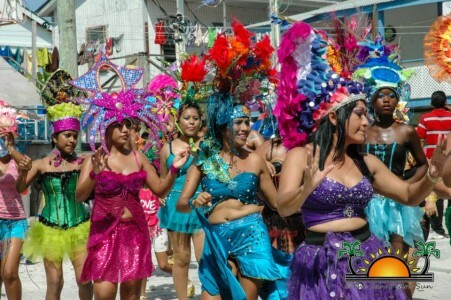 The Comparsas are made up of groups in vibrant costumes all with a theme and a song. Every year our favorite “Los Barbies”, the burly fishermen of San Pedro, are out in force, who seem to particularly enjoy sporting their dresses and make up while parading the streets. This year’s themes included the World Cup, tributes to El Chapo Guzman, the Lost Indians, plus a beauty pageant for older ladies, marking their beauty in older years. Fancy joining us for Carnival 2015? Get in touch to plan ahead. 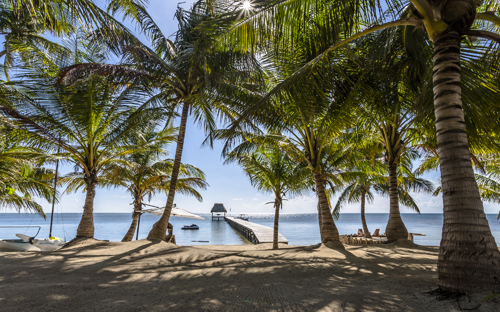 Low Season rates apply throughout most of Belize in early June, when some of the hottest properties are available for seriously discounted prices. 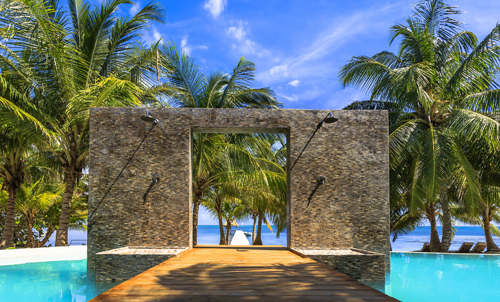 Enjoy a slice of paradise at the multi-award winning Matachica Resort, on the northern shores of Ambergris Caye. For $225, you can luxuriate in a SeaBreeze Bungalow and enjoy the 5 star resort amenities. Rates are per night plus plus 9% hotel tax and 10% service charge. Conceived by the same design team as Matachica, La Perla is a beautiful collection of private villas, with bohemian touches and artistic finishes. 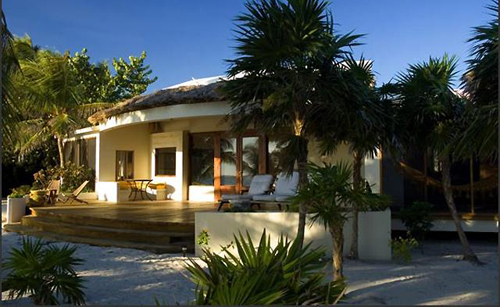 For $400 you can enjoy a 2 bedroom beachfront villa, complete with expansive deck and gourmet kitchen. Rates are per night plus 9% hotel tax. 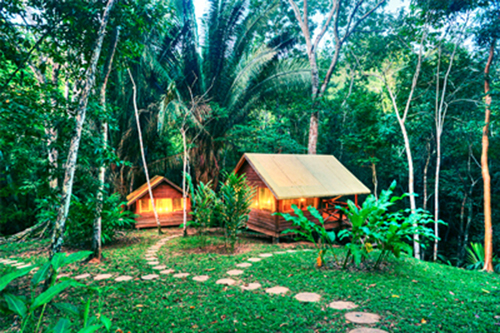 The Lodge at Chaa Creek has introduced the Macal River Camp, for those visitors wishing to get that much closer to nature. Designed for those who love the outdoors and want to be in a remote setting, the camp consists of ten casitas set on raised platforms with private verandas, in a very remote location of the estate. Why not combine the rustic with the luxury and book a Green & Blue itinerary at Matachica and Chaa Creek? Rates from $55 per person per night plus 9% hotel tax and 12.5% service charge. Get in touch to make the most of these summer bargains!